Before I go in for radiation treatment, I had to first get fitted into my machine. But first I had to drink a “protein” shake and as usual I feel like throwing up as I’m trying to keep it down. But the liquid helps to locate the tumor, so I do my best to be a good patient and do as I’m instructed. As you can see from the picture, there’s a blue pillow that will be molded into the shape of my head. It’s important I’m accurately positioned to avoid getting exposure to nearby organs. While I’m lying down they continue to adjust my body to the right position and I have to stay very still in order to make sure that they are marking me correctly. 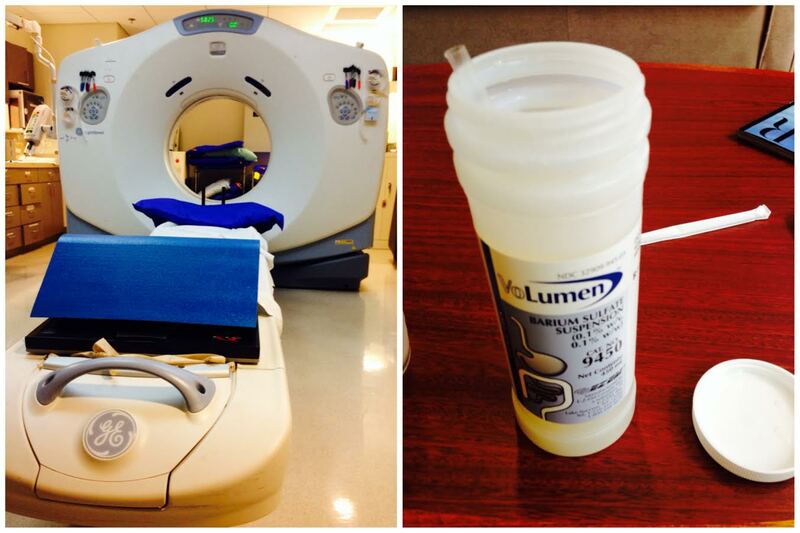 *note: this is not the machine that will be doing the radiation treatment. Nurse: so the Dr. has requested that we go ahead and give you tattoos to mark the spots. Me: (I have a worried look on my face) What? Tattoos? Is that permanent? Nurse: Yes, it’ll be just 3 dots. Really small. You can’t tell it’s there. Me: Is it gonna hurt? Nurse: Wait, you never had tattoos before? Me: No, I always wanted them but was always undecided on a design. Nurse: It’s just a pinch, won’t be too bad. 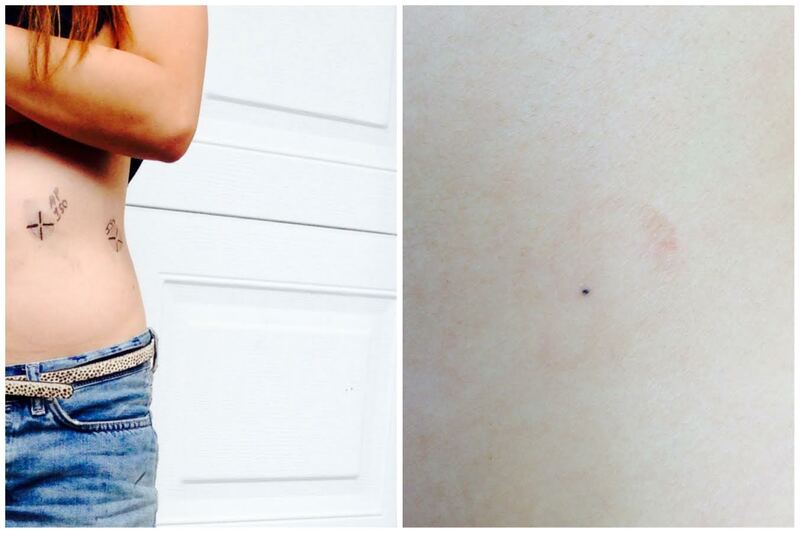 Me: I can’t believe my first tattoos are 3 little dots!!! Nurses: *smiling* you can’t even tell, they’ll look like moles. Me: I can’t wait to cover them up!